There is a phishing attack disguised as 'rewards' going around all over social media. They are giving out 'bonus lumens' when you sign up into their account viewer and claim your 'bonus lumens'. IF you login into their website and put in your private key, they will hijack it. Stellar and the Stellar Development Foundation do NOT give away free lumens anymore. 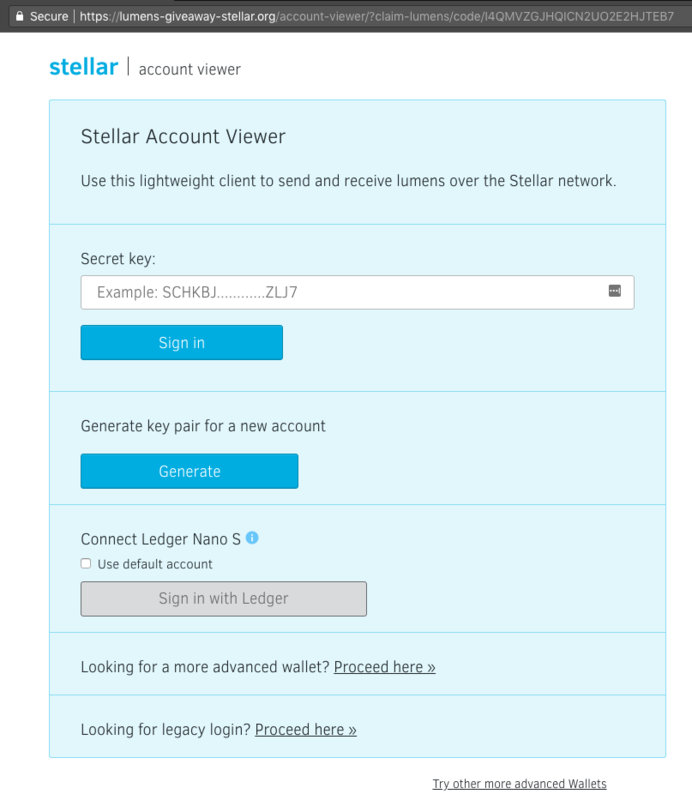 Any media impersonater trying to give out free lumens are not from Stellar. If they impersonate Stellar, they are scamming you. The only way to get lumens is on an exchange or via developing services on the Stellar Network. Please educate others in the Stellar Network about these scammers. This list contains unofficial third-party links that have been caught trying to defraud the Stellar Community. It also includes fake social media accounts filled with positive reviews in order to trick people. Reminder: NEVER. GIVE. OUT. YOUR. PRIVATE. KEY. Please report the ones in red. @StellarLumens (https://twitter.com/StellarLumens) - This is an unofficial community page/media impersonator using phising attacks and asking for private keys; scammers have used the following list on this account to send out successful phishing attacks. Please report them here, using the menu on the right beside the button 'Follow'. StellarLumens (https://www.facebook.com/StellarLumens) - This is an unofficial community page/media impersonator using phising attacks and asking for private keys; scammers have used the following list on this account to send out successful phishing attacks. Please report them here, using the dropdown menu beside the button 'Share' and going down to 'Report'. Found a potential scammer? Fill out the form below.